Mr. van Ditmars founded his company in 1999. He is also a senior policy adviser at the Ministry of Economic Affairs in The Netherlands. He is a network specialist and international negotiator at governmental and European union levels. Looking back, Mr. van Ditmars attributes his success to having the right priorities and being focused and sociable. He claims that people feel comfortable talking with him. He became involved in his profession because although his interest in wine started as a hobby, he managed to turn it into a career. 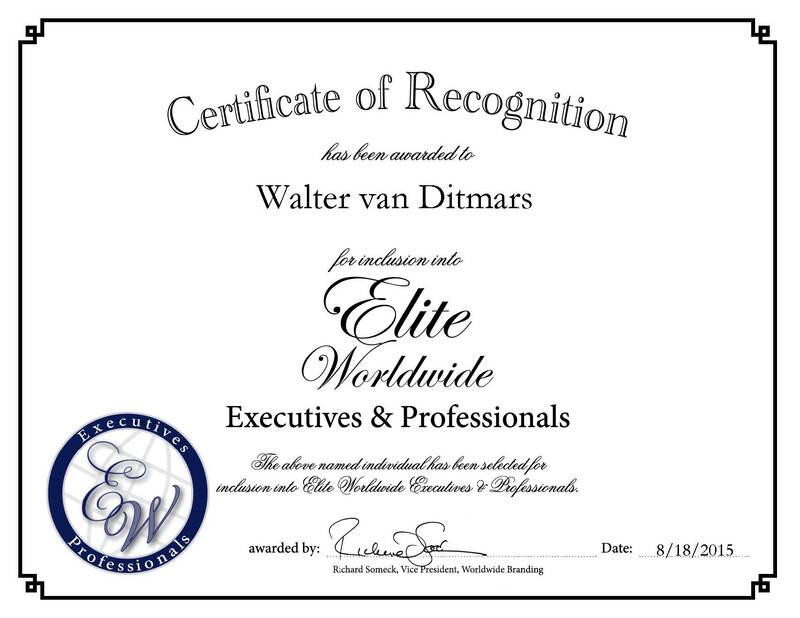 Mr. van Ditmars received his Master’s degree in Political Science and Economy from Vrije Universiteit Amsterdam in 1985. In years to come, Mr. van Ditmars plans to focus more on the wine business and train others in the field of negotiating and networking to help them reach their goals.